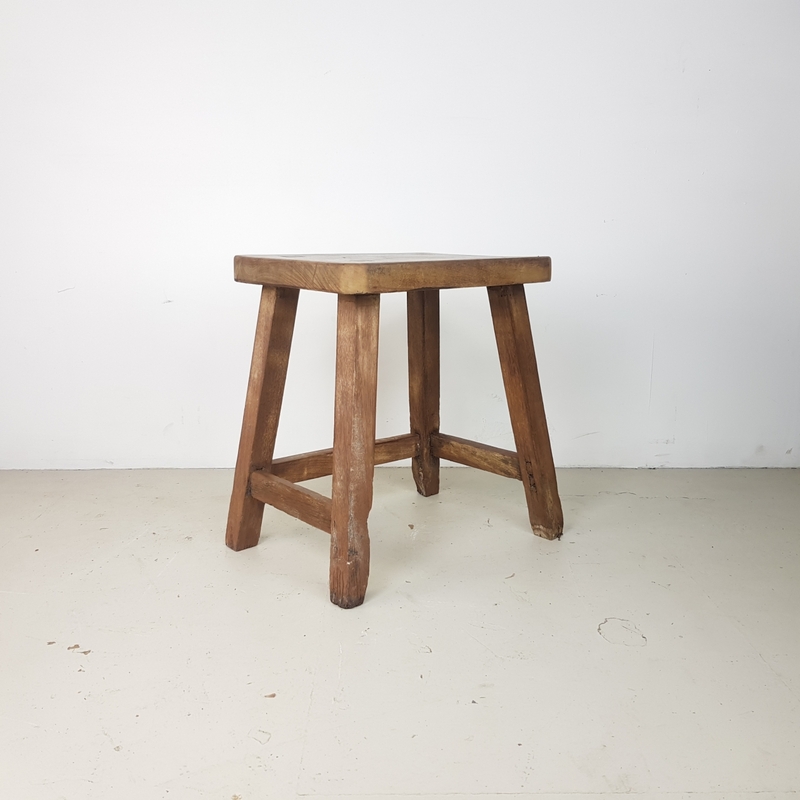 A gorgeous rustic teak wooden stool, which has been sanded and waxed, bringing out a lovely colour wood. 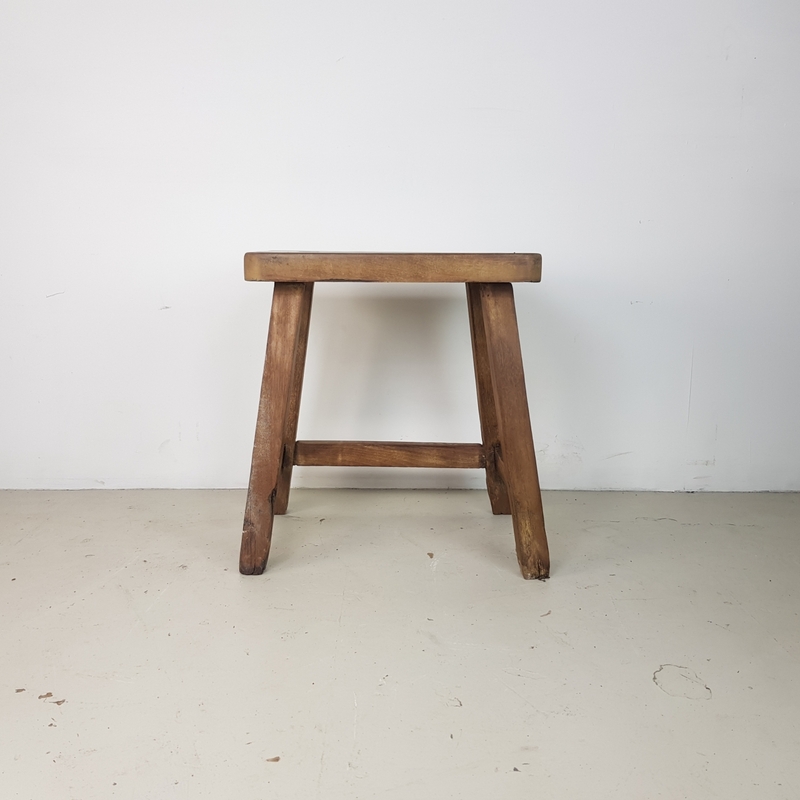 Great in a kitchen or can be used as an occasional table or as a bedside table. 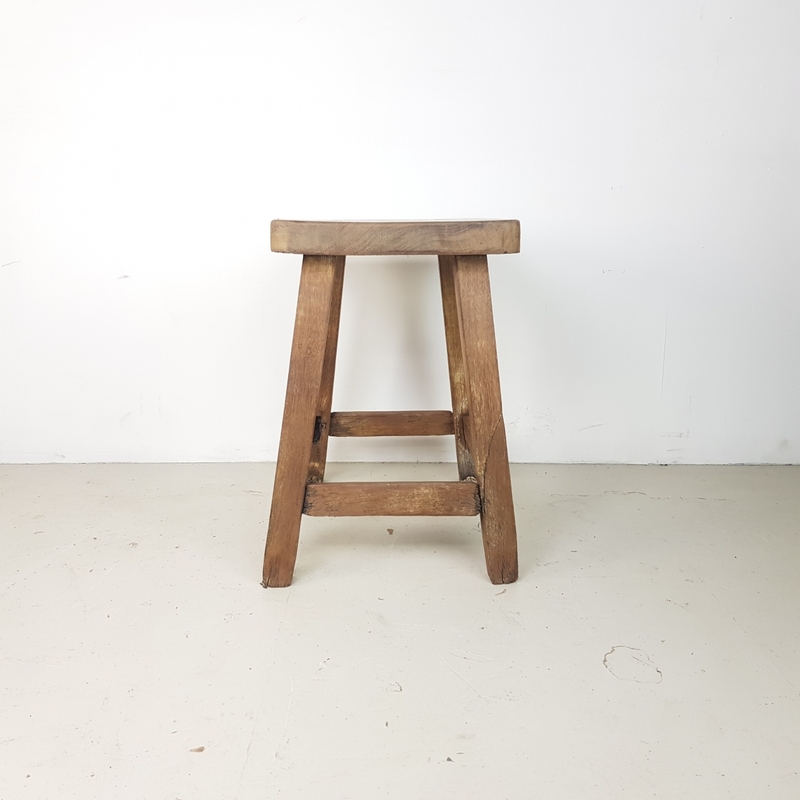 A full-height stool as opposed to the miniature (milking) stools.